what is an ACE bandage? An ACE bandage is a stretchable cloth used to wrap around injuries like strains and sprains. The compression from the bandage decreases swelling by keeping blood from pooling in the area. The bandages are also used for fractures. 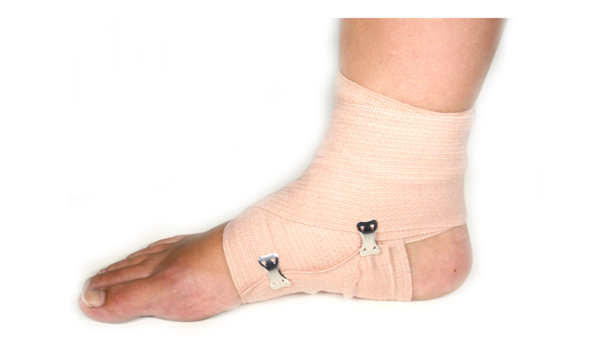 When a fracture may cause swelling, ACE bandages are used to wrap around the splint. When the swelling goes down then a traditional cast can be put on. ACE bandages can be found in sports medicine facilities, doctors offices, and even simple home first aid kits. They are a popular tool and can be bought at almost any retail store.